Published April 8, 2016 at 480 × 640 in 100 Mile Gravelleurs Race Tomorrow. 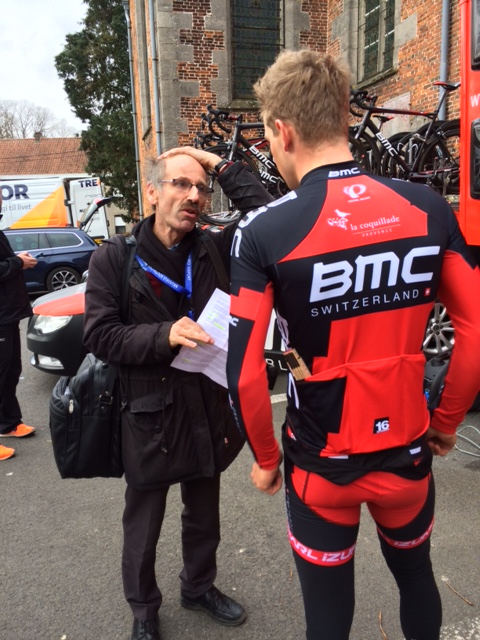 This is BMC rider Fabian Lienhard. Notice the ruler in his pocket. Trudi said he brought it from Switzerland to set his seat position. Swiss.